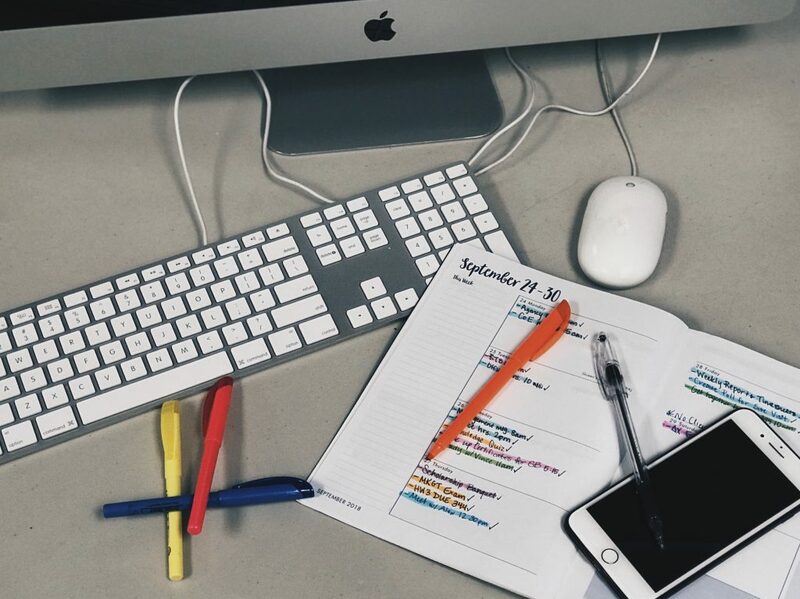 Picture of an Apple keyboard, a planner, highlighter pens and a smartphone. As the days go on, getting lost in the craziness and feeling like there is no end in sight seems like a daily occurance. With the busy season ramping up, it is important to find a good balance to your work-life and your life outside of the office. Working day in and day out can be exhausting, especially in the ever fast-paced world of public relations. According to CNBC, public relations came in the eighth spot as part of their list of the top 10 most stressful jobs in America. I can attest to this claim with my brief time in this industry. Constantly thinking about how the public will perceive your message, being able to create a compelling message and making sure the world doesn’t blow up in your face is indeed high stress. Having a good work-life balance, especially in a high-stress career like public relations, is vital. Finding hobbies that help you forget about work for even just a moment is a great way to help draw a line in the sand of work and personal life. Activities such as hiking, cooking, painting and just exploring your town or city can all be great ways to disconnect and be present in the moment. Even just making it a habit of leaving your work at the office can help push you to keep your work from creeping into your personal life. With the rise of new age technology, it’s hard to stop yourself from refreshing your emails, scrolling through your newsfeed and essentially waiting for the world to throw a new curveball at you. Being able to turn off your phone and stop obsessing over work after leaving the office is a task that does come with its difficulties, but in order to not turn into a frazzled workaholic, it’s crucial. Being able to take a step back and enjoy your life is something that I feel has been pushed aside. Everyone wants to be constantly busy and have something on their plate. However, that lifestyle is not sustainable. Please for your own sake, take a minute to stop, take a deep breath and relax for just a moment.